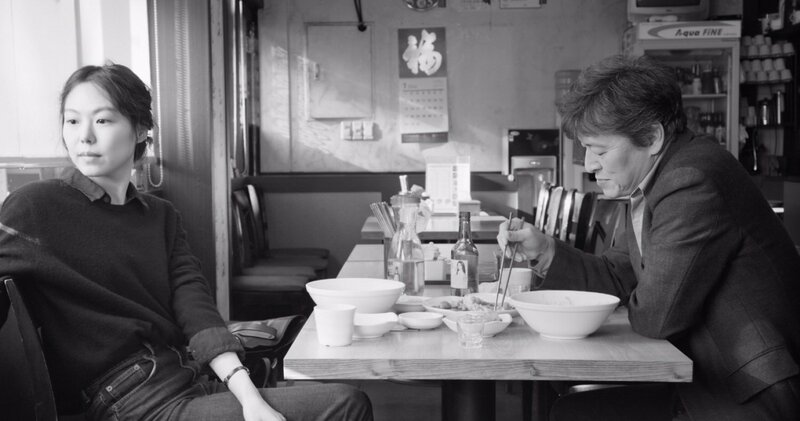 Hong Sang-soo typical offering of enjoyably hang out food and drink times is interrupted by a film where the structure is the same but the characters are grating. Instead of an enjoyable vacation day on the beach in a foreign country or a night out with the film professor, The Day After revolves around the events of one horrible day. The Day After is filled with many great medium shots that capture well both of the performances of the actors in the many one-on-one conversations that comprise the film. From time to time it will hone in on the face of one of these actors, sometimes even when he or she is not talking, giving the actors time to be the highlight of the film. And that certainly helps because the characters here are generally despicable. Bongwan (Kwon Hae-hyo) is a well-known writer and publisher who is in the midst of relationship difficulties as his wife is convinced he is having an affair. Areum (Kim Min-hee) is the new secretary starting her first day at the office and in a disastrous moment is mistaken for Bongwan’s lover. Besides Areum, it’s hard to identify with or latch onto the characters. They’re extremely self-centered, over the top and bitter people who lash out at others and tend to be incapable of empathy. This makes being around these characters grating and by the end it felt more like this was a film to be endured than enjoyed.